If you are currently pregnant, it is likely that as your body grows, you may experience some aches and pains from the weight gain and changes in your center of gravity. Many women find that making an appointment at True Life Chiropractic in Anchorage to meet with our prenatal chiropractor is an action that brings about favorable results. Here is some information about chiropractic care during pregnancy to read over so you can determine if visiting us may be beneficial to you. There are several benefits to seeing our chiropractor during pregnancy. Many women find seeing a chiropractor to be a completely relaxing experience. They often feel the benefits of care after just one appointment and make subsequent appointments to get much-needed relief as the body goes through changes. Chiropractic care during pregnancy has been shown to help reduce the amount of time a woman is in labor. The chance of having a caesarean section is also reduced with routine visits to see our chiropractor. Our practitioner will explain these benefits to you during your first meeting so you understand the importance of regular appointments throughout your pregnancy. 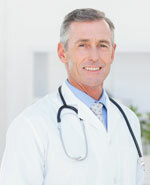 Our practitioner will discuss any problems you are experiencing beforehand. He will then do an assessment of your body to determine which areas are triggering the pain or discomfort you are feeling. You will lie comfortably on a table with an area for your expanding stomach to rest. Spinal adjustments will promote healing of areas in the body that are experiencing pain due to stress upon joints. When the stress is released after an adjustment, blood flow is no longer restricted and pain usually diminishes right away. In addition to gentle maneuvering of the spinal area, our chiropractor may recommend light exercises or stretches to help reduce pain. Many women decide not to call a chiropractor for care during pregnancy, simply because they do not know if the procedures used are safe. Chiropractic care is completely safe for both mothers and unborn babies. In fact, this type of care is non-invasive and does not require the use of medication whatsoever, making it even safer than other options that women usually undertake when they are experiencing discomfort. Our chiropractor has plenty of experience in treating pregnant patients and looks forward to meeting you and bringing you the relief you desire. If you are looking for relief during pregnancy, give True Life Chiropractic in Anchorage a call to make an appointment with our prenatal chiropractor. Call our practice today at 907-646-2225 to start your chiropractic treatment program.